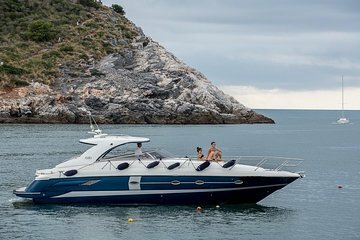 Charter a luxury yacht for a lazy daytime cruise around the coastline of the Cinque Terre. With its dreamy landscape of mountains and sea, the UNESCO World Heritage-listed region is perfect for a day on the water: Sip Champagne, sunbathe on deck, stop to swim, and dock to explore the villages. You can spend a full day or a half day in the Cinque Terre region or continue along the coast to glitzy Portofino and enjoy free time in the town.